David Francis Dodge was born in Berkeley, California. His career as a writer began when he made a bet with his wife Elva that he could write a better mystery novel than the one she was reading. He drew on his professional experience as a Certified Public Accountant to create his first series character, San Francisco tax expert and reluctant detective James "Whit" Whitney. "Death and Taxes" was published in 1941 and he won $5.00 from Elva. Three more Whitney novels were published between 1943 and 1946. After Pearl Harbor Dodge was commissioned in the U.S. Navy and emerged three years later as a Lieutenant Commander. On his release from active duty, he set out for Guatemala by car with his wife and daughter. 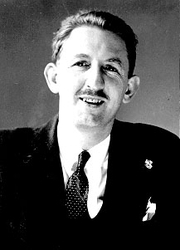 His Latin-American experiences produced a second series character, expatriate private investigator and tough-guy adventurer Al Colby, and launched Dodge's second career as a travel writer. Dodge was fond of explaining that while many writers traveled in order to gather material to write about, his goal was to write in order to gather money to travel. David Dodge also wrote short stories, magazine articles, and plays. He is best known as the author of "To Catch a Thief," which Alfred Hitchcock turned into a film (1955) starring Cary Grant and Grace Kelly. His final novel, "The Last Match," remained unpublished and hidden among his personal papers until 2006, when it was published by Hard Case Crime. David Dodge is currently considered a "single author." If one or more works are by a distinct, homonymous authors, go ahead and split the author. David Dodge is composed of 2 names. You can examine and separate out names.